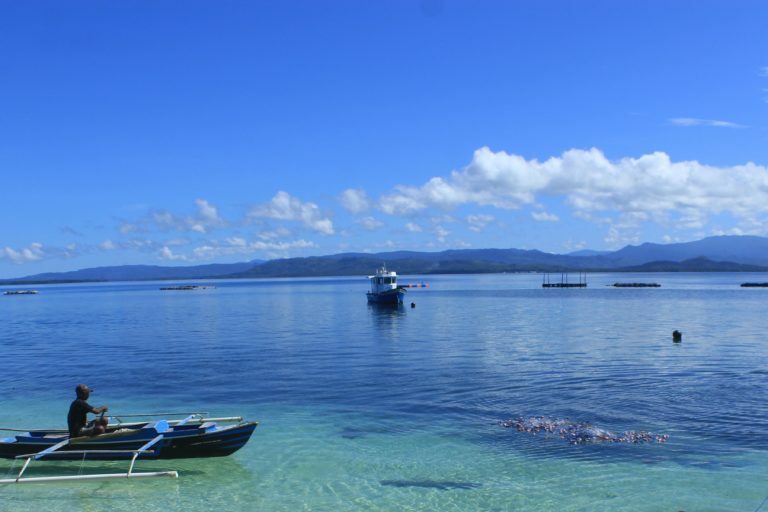 Indonesia has designated three new marine protected areas (MPAs) in the waters of eastern North Maluku province. The new protected zones are expected to improve the local fisheries sector and support national food security. The establishment of the areas is part of the government’s target to create 200,000 square kilometers (77,200 square miles) of MPAs by 2020; it has already achieved 96 percent of that goal. DARUBA, Indonesia — The Indonesian government has established three new marine protected areas within the Coral Triangle, home to the highest diversity of corals and reef fishes anywhere on the planet. The declaration of the three new zones, spanning a combined 226 square kilometers (87 square miles), was made on April 2. They’re centered, respectively around the islands of Sula, Rao and Makian, which are all part of the Morotai archipelago in the eastern province of North Maluku. Indonesia has committed to setting aside 200,000 square kilometers (77,200 square miles) of its territorial waters for conservation by 2020, and has to date achieved 191,400 square kilometers (73,900 square miles), or about 96 percent of its target. Fishing boats larger than 10 gross tonnage will be prohibited from entering the newly declared marine protected areas (MPAs); only traditional and small-scale fishers using sustainable fishing equipment will be permitted to operate there, under a 2016 law on marine conservation areas. A traditional fishing boat in the Morotai archipelago in North Maluku province. Image by Mahmud Ichi/Mongabay Indonesia. Indonesia’s fisheries minister, Susi Pudjiastuti, said the establishment of MPAs was part of the government’s efforts to achieve sustainable fisheries and support food security across the thousands of islands that make up the country. Most Indonesians live in coastal areas, and seafood constitutes a key component of the average diet. Indonesians ate an average of 41 kilograms (91 pounds) of fish in 2015, according to government data. By 2018, the number had increased to nearly 51 kilos (112 pounds). 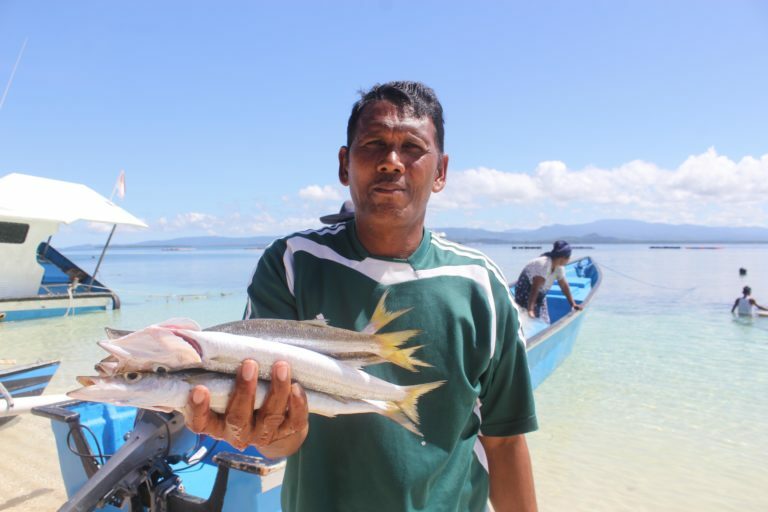 In North Maluku, the fisheries sector provides a livelihood for 34,000 households. The establishment of the new MPAs brings the province’s total number of marine protected areas to eight, spanning nearly 250 square kilometers (97 square miles). The establishment of the new areas was supported by the United States Agency for International Development (USAID), which has pledged to help Indonesia improve marine management of 80,000 square kilometers (30,900 square miles) of territorial waters in the provinces of Maluku, North Maluku and West Papua. The bilateral partnership also targets establishing 14 MPAs spanning 10,000 square kilometers (3,900 square miles) across those provinces. “We hope that both countries will continue to collaborate to achieve this goal in the future,” Susi said. The United States is the biggest buyer of Indonesia’s fish products, primarily shrimp and tuna, importing $1.81 billion, or 40 percent, of the Southeast Asian country’s total fisheries exports in 2017. The U.S. has also exempted Indonesia from import tariffs for its fish products, in light of its robust fight against illegal fishing. Under Susi, Indonesia has banned foreign fishing vessels from entering the country’s waters, prohibited the use of destructive fishing equipment, and achieved a recovery in fish stocks that had previously been depleted by unsustainable fishing. The creation of the new marine protected areas in North Maluku is expected to benefit local fishing communities and support food security. Image by Mahmud Ichi/Mongabay Indonesia. Banner image of corals and reef fishes in eastern Indonesian waters by Rhett A. Butler/Mongabay. 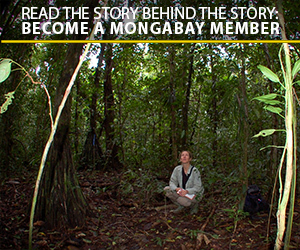 This story was first reported by Mongabay’s Indonesia team and published on our Indonesian site on April 7, 2019.